Falling in line with the Robinson/Hui family tradition of homemade Christmas presents, this year I chose to work with one of my most favourite things: maps. Back in the summer I went to Hay-on-Wye (great place, ps) and I got an old atlas that was missing pages and a bit tattered. I also had a lot of scrap paper and a 2010 cat calendar. 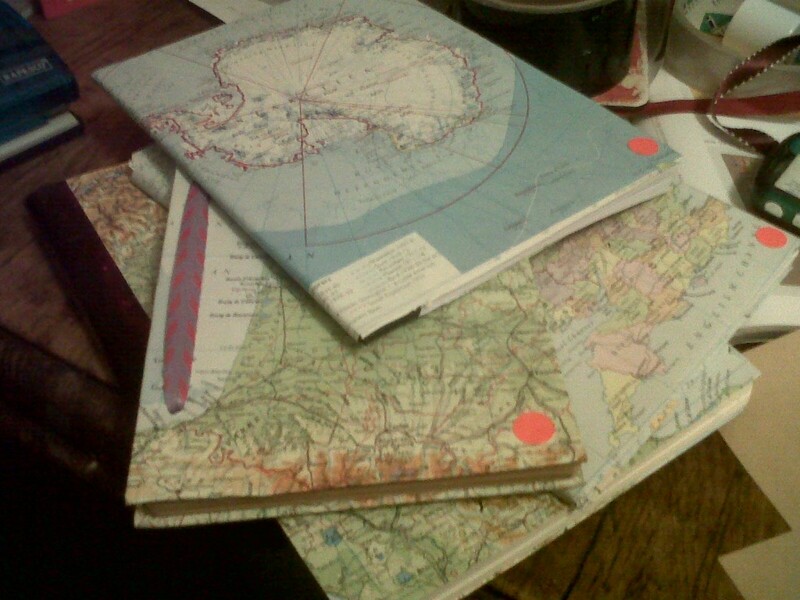 So I made map notebooks. It was super easy and quite satisfying.